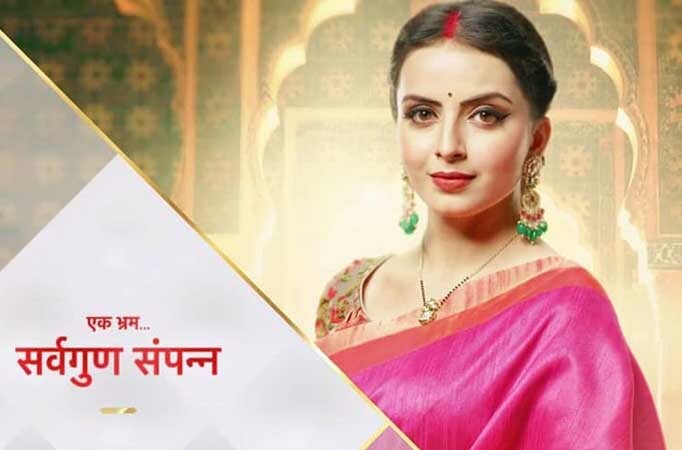 MUMBAI: The makers of Star Plus’ upcoming show Ek Bhram – Sarvagun Sampanna will be flying down to the 1000-year-old heritage Saas–Bahu temple in Udaipur along with lead protagonist Janhvi Mittal, essayed by Shrenu Parikh, to launch the show there.The iconic reason behind launching the show at this heritage temple is the significance behind it. It is a temple dedicated to mothers-in-law and daughters-in-law of the nation to glorify the relationship they share. A king back in the 10th century in Mahipala of Kachchhwaha dynasty got it reconstructed.The show with an anti-heroine protagonist presents a completely different take on the typical saas–bahu daily soaps. In sync with the unique concept of the show, the makers devised an equally unusual launch.An excited Shrenu shared, ‘I am extremely thrilled, not just to launch my show but also the fact that we are opting for such a unique strategy to begin our journey is exciting me. Sarvagun Sampanna is an incredibly different show, and our launch completely complements the thought as we visit the Saas–Bahu temple in Udaipur. The 1000-year-old temple is an iconic symbol of the relationship between a daughter and mother-in-law, which is exactly what our show thrives on too.’The highly unconventional show traces the story of a daughter-in-law of a rich and prestigious family who is an ideal bahu for the family; however, she is secretly plotting against her in-laws. The pretentious Jahnvi Mittal inherits all the qualities of an ideal bahu but, in reality, dwells on evil and torturous ideas.The promos of the show have piqued the interest of the viewers by giving an insight into the villainous arc of the lead actress. Building curiosity amongst the masses, the promos have left everyone wondering about the intentions of Janhvi.